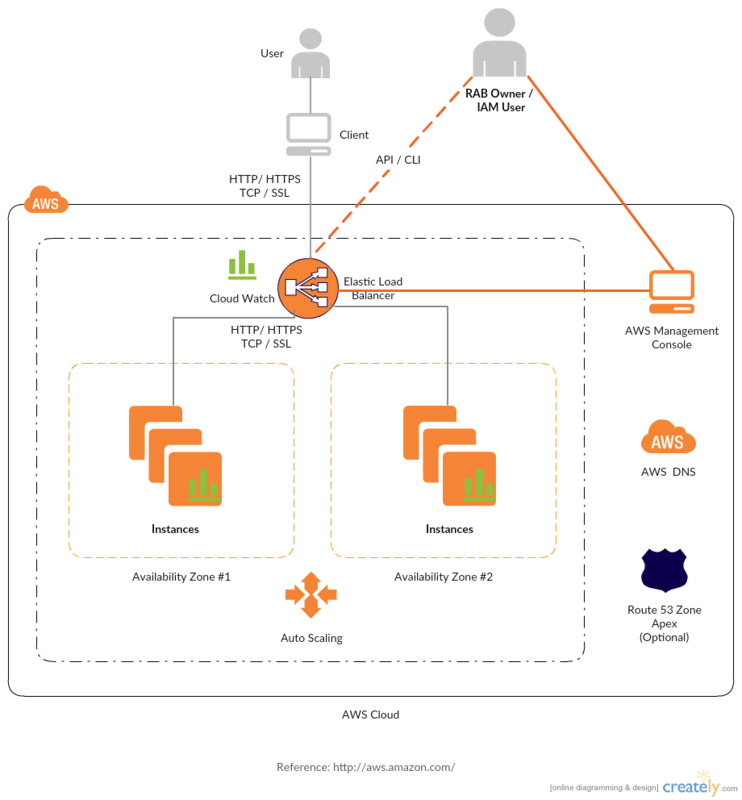 AWS architecture diagrams are used to describe the design, topology and deployment of applications built on AWS cloud solutions. 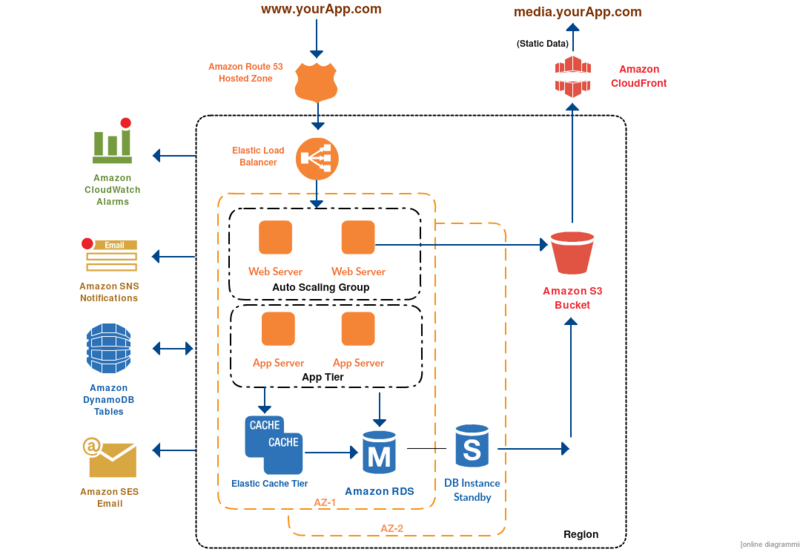 While architecture diagrams are very helpful in conceptualizing the architecture of your app according to the particular AWS service you are going to use, they are also useful when it comes to creating presentations, whitepapers, posters, dashsheets and other technical material. 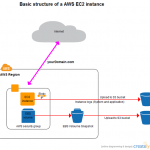 Following are some helpful AWS architecture diagram examples Creately has designed to make your application designing process much easier. Simply click the template that meets your requirements to modify it online. 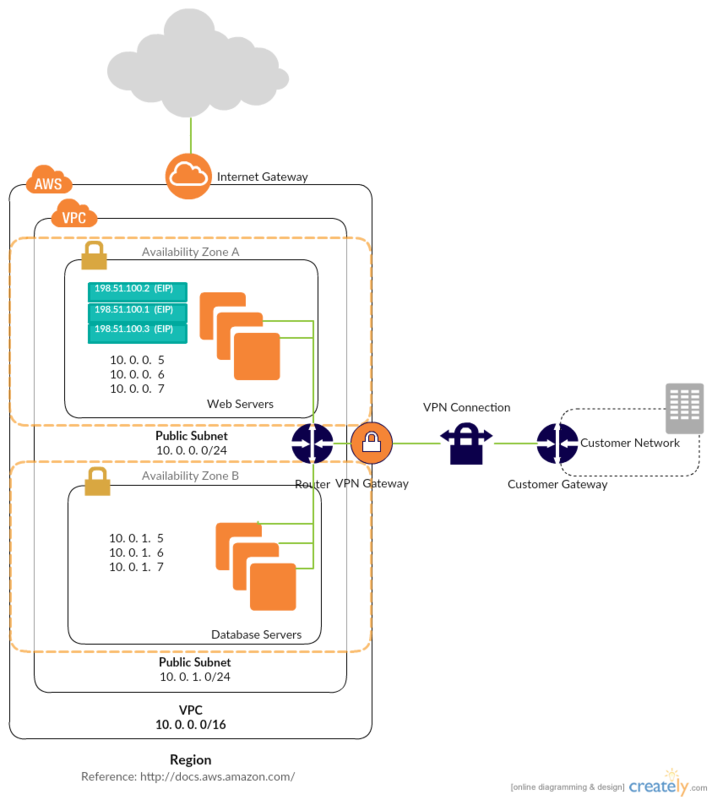 This template represents a scenario that includes a VPC or a virtual private cloud with a public subnet and a private subnet. If you are planning to run a public-facing web application with back-end servers that are not publicly accessible – for example a multi-tier website – this template would be ideal to communicate your application design. Click the image to make the necessary changes online. This template describes the implementation architecture of Varnish on Amazon Web Service Cloud. Varnish is a web application accelerator that is used for page caching and faster delivery. Start with this template to plan out your own Varnish deployment architecture in AWS. This diagram template describes a high-level HA architecture for VPN instances. 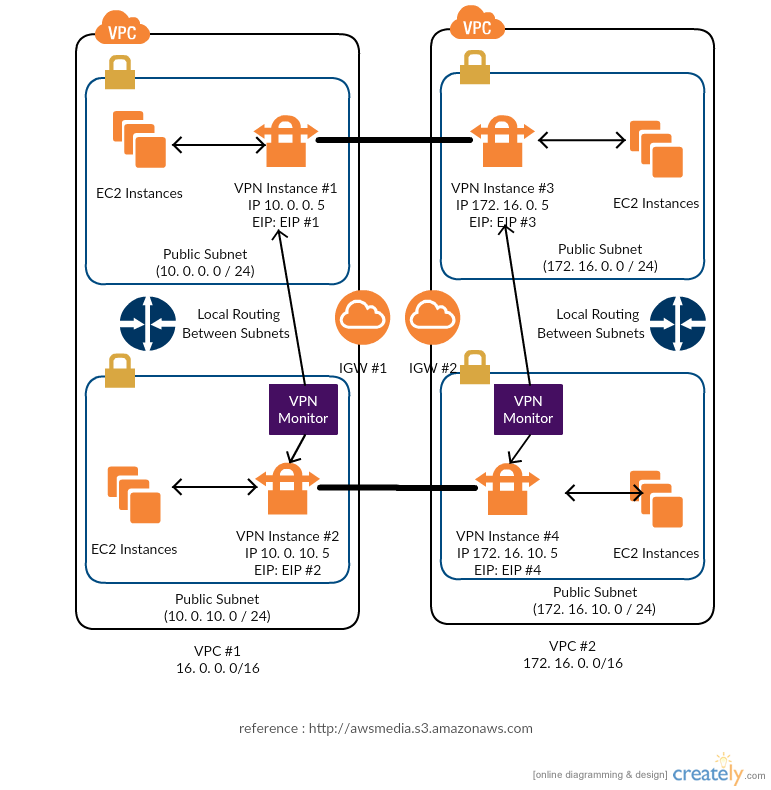 In order to create a fully redundant VPC connection between VPCs in two regions, you need to set up and configure 4 VPN instances and monitor them to keep track of the health of the VPN connections. Click on the image to modify this template online or download it. This is the architecture of an Elastic Load Balancing service. Here there are two resources; load balancers and the controller service. While the load balancers monitor the traffic and handle requests coming in through the internet, the controller service monitors the load balancers and make sure that they conduct themselves properly. Click on the image to use it as a template or modify it online. 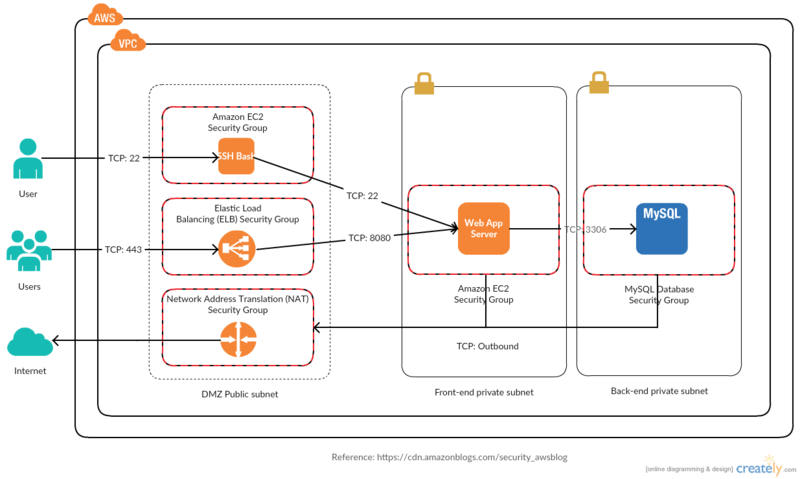 This AWS architecture diagram describes the configuration of security groups in Amazon VPC against reflection attacks where malicious attackers use common UDP services to source large volumes of traffic from around the world. Through the configuration of such security groups, these attacks can be detected and mitigated easily. Click the image to use this AWS template as a template. This diagram AWS template depicts multiple VPN connections. 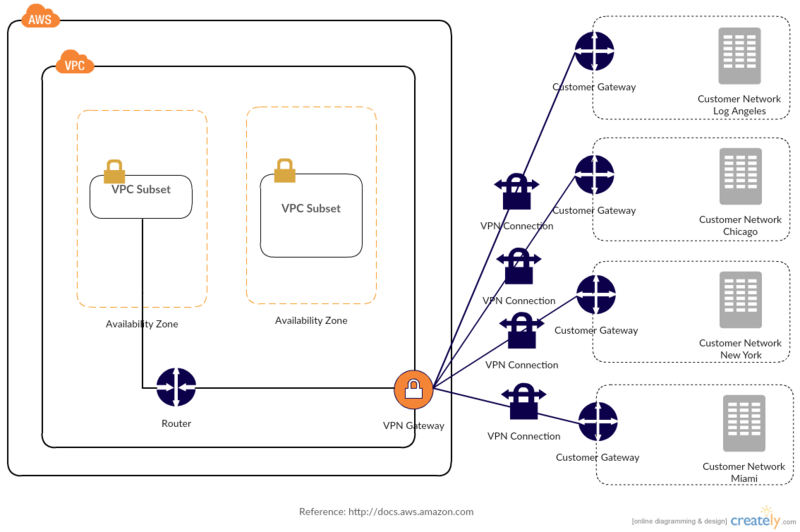 While the VPC has an attached private virtual gateway, you network has a customer gateway which needs to be configured to enable the VPN connection. Click on the image to start editing right away. 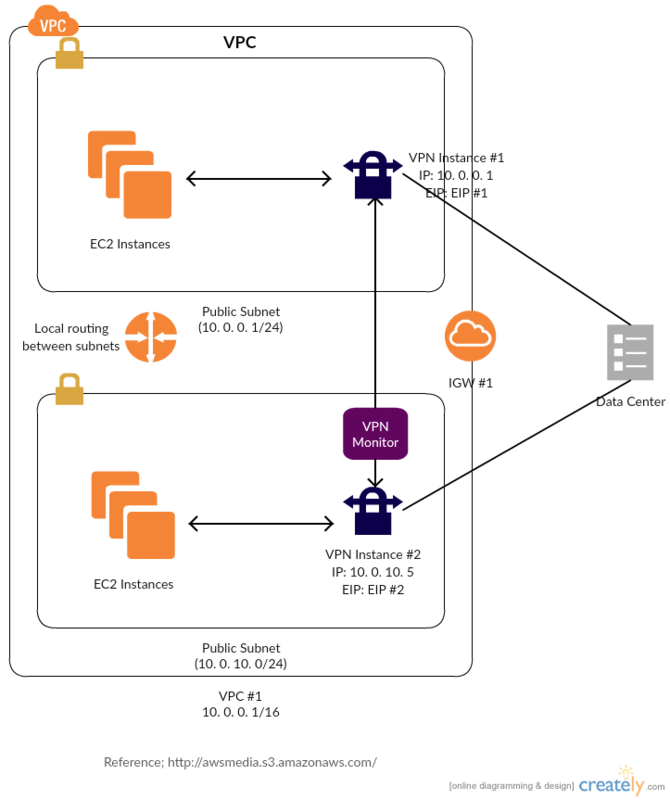 The AWS diagram template below shows the configuration of a VPC for an AWS OpsWorks app server stack. Several components are included in this VPC; subnets, internet gateway, load balancer and NAT. Click on the image to change the diagram according to your requirements. This is a 3-tier auto-scalable web application architecture. The core network backbone, the distribution layer and the access layer are shown here. You can click the image and edit the template online according to your requirements. The diagram template below is of an HA design for the VPC component of the network. Like in the 3rd example template, this one also shows the setup and the configuration of VPN instances, although there are only 2 instances here. In order to create a fully redundant VPN connection, these two instances need to be monitored so as to keep track of the health of the VPN connection. Click on the image to edit this template online. 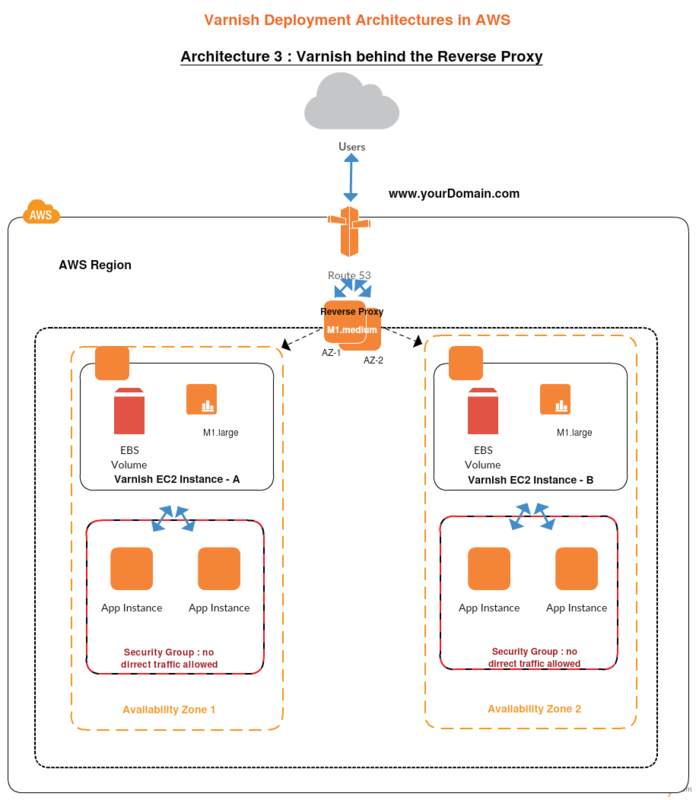 This is another AWS template example of the deployment architecture of Varnish on Amazon Web Services cloud. Here the Varnish Page Cache is placed behind the Reverse Proxy. Click on the image to start editing the template as you want. 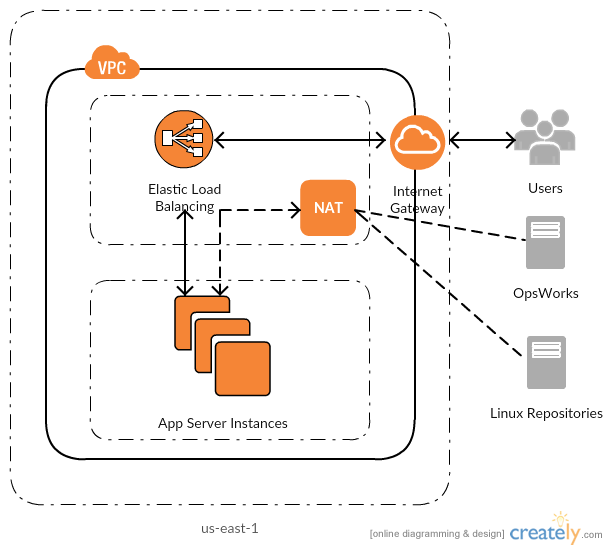 Creately offers easy-to-use tools including 100+ AWS diagrams icons and plenty of templates to help you start drawing your AWS architecture diagrams right away. 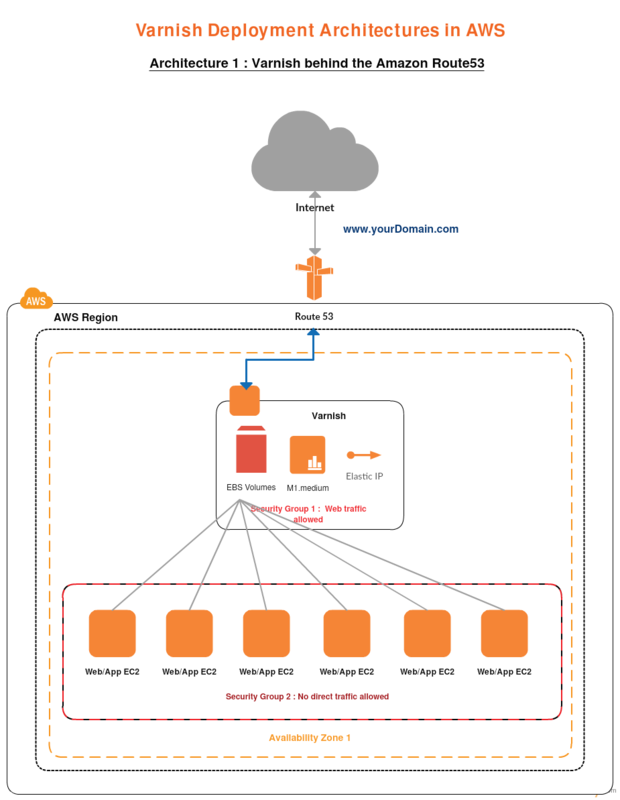 We constantly update our diagram community, so make sure to visit it often to find new AWS architecture diagram examples for architecture diagrams. Cisco Templates to Get You Started Right Away ! Hi Giselle, I see what you are saying. Definitely will balance it out in the future posts. Thank you for pointing it out! In High-Level HA Architecture for VPN Instances 2, this one also shows the setup and the configuration of VPN instances, although there are only 2 instances here. In order to create a fully redundant VPN connection.